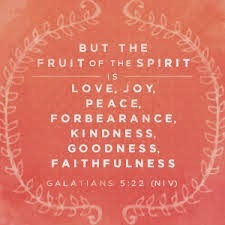 When we do not bring forth His fruit—love, joy, peace, patience, kindness, goodness, faithfulness, gentleness, and self-control (per Galatians 5:19)—but bring forth immorality, impurity, sensuality, idolatry, sorcery, enmities, strife, jealousy, outbursts of anger, disputes, dissensions, factions, envying, drunkenness, carousing, and things like these (Galatians 5:19), it is because we have broken faith with Him and are in the state of infidelity of the highest order. What generally causes us to distrust Christ and leads us to break faith with Him and run to the arms of another is the fact that we often think that we have a better way. We think that, somehow, God really doesn't have our best interests at heart. It did not good to sit idly by while others made all the decisions. Peace and safety were worth speaking out for. What is worth defending, if not peace? We live in a world of war and fighting. Battlegrounds pop up in every nation of the world. Rip-off experts flood every profession. Religious charlatans are here as well. Many politicians speak smoothly from both sides of their mouths. No one can deny the phony-baloney facade of ads and fads. And Scripture is right; society proceeds "from bad to worse." What happens when unprepared Christians are plunged into darkness by the trials of life? They begin to question what's happening. Everything was going well; all they could see ahead was fair weather. But now they've lost their sense of direction because they have not spent time in God's Word. They have not been taught to trust God regardless of what they see or feel, so they get discouraged, sometimes backslide, and sometimes even blame God and get swallowed up in bitterness. If we belong to Christ, we are united to Him and no longer slaves to sin (Romans 6:5-6); we are made alive with Him (Ephesians 2:5); we are conformed to His image (Romans 8:29); we are free from condemnation and walking not according to the flesh, but according to the Spirit (Romans 8:1); and we are part of the body of Christ with other believers (Romans 12:5). The believer now possesses a new heart (Ezekiel 11:19) and has been blessed “with every spiritual blessing in the heavenly places in Christ Jesus” (Ephesians 1:3). We might wonder why we so often do not live in the manner described, even though we have given our lives to Christ and are sure of our salvation. This is because our new natures are residing in our old fleshly bodies, and these two are at war with one another. The old nature is dead, but the new nature still has to battle the old “tent” in which it dwells. Evil and sin are still present, but the believer now sees them in a new perspective and they no longer control him as they once did. In Christ, we can now choose to resist sin, whereas the old nature could not. Now we have the choice to either feed the new nature through the Word, prayer, and obedience, or to feed the flesh by neglecting those things.